Any life story, whether a written autobiography or an oral testimony, is shaped not only by the reworkings of experience through memory and re-evaluation, but also by art. 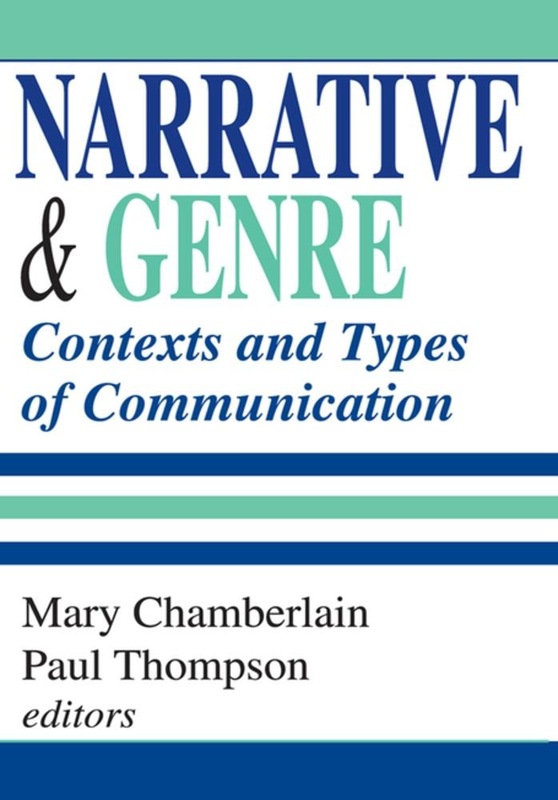 Any communication has to use shared conventions not only of language itself, but also the more complex expectations of ""genre,"" the forms expected within a given context and type of communication. This collection of essays by international academics draws on a wide range of disciplines in the social sciences and the humanities to examine how far the expectations and forms of genre shape different kinds of autobiography and influence what messages they can convey. After investigating the problem of genre definition, and tracing the evolution of genre as a concept, contributors explore such issues as: How far can we argue that what people narrate in their autobiographical stories is selected and shaped by the repertoire of genre available to them? To what extent is oral autobiography shaped by its social and cultural context? What is the relationship between autobiographical sources and the ethnographer? Narrative and Genre presents exciting new debates in an emerging field and will encourage international and interdisciplinary discussion. Its authors and contributors are scholars from the fields of anthropology, cultural studies, literary analysis, psychology, psychoanalysis, social history, and sociology. Acquista Narrative and Genre in Epub: dopo aver letto l’ebook Narrative and Genre di ti invitiamo a lasciarci una Recensione qui sotto: sarà utile agli utenti che non abbiano ancora letto questo libro e che vogliano avere delle opinioni altrui. L’opinione su di un libro è molto soggettiva e per questo leggere eventuali recensioni negative non ci dovrà frenare dall’acquisto, anzi dovrà spingerci ad acquistare il libro in fretta per poter dire la nostra ed eventualmente smentire quanto commentato da altri, contribuendo ad arricchire più possibile i commenti e dare sempre più spunti di confronto al pubblico online.